It had to happen, and I’m glad it did. 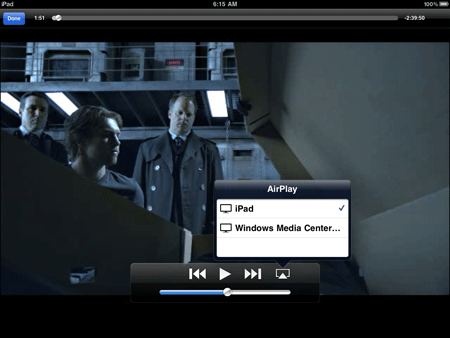 Thomas Pleasance has produced a nifty add-on for Windows Media Center that allows AirPlay from an iPad to Windows Media Center. It is currently at beta 1 stage and is documented to work only with videos (and YouTube) on the IOS device. You’ll need to install Dot NET 3.5 if it isn’t already present, Bonjour from http://support.apple.com/kb/DL999 and finally the app from his home page. After running the install (it is a little quirky, see the comments posted on his page), I was indeed able to stream from my iPad to Windows Media Center. I fired up Videos on my iPad and selected Avatar (which I ripped from my owned BD Ray movie). and sure enough, I could select Windows Media Center! 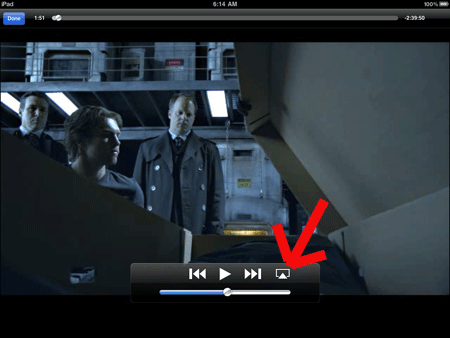 Both the iPad and the WMC machine were on 802.11n 5GHz wireless and it didn’t take long at all for the movie to start to stream on WMC. 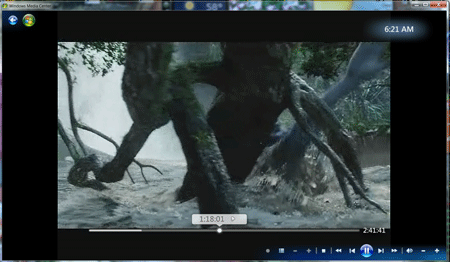 Interestingly enough, I could drag the timeline with a mouse and playback started instantly from that point. I didn’t have any video or audio issues at all. Even though the app is not currently supposed to work with Photos on the iPad, I tried a slide show, as I see that as a more important application for me than videos. I was able to manually move between 5 or 6 photos before WMC froze, but the potential is there. I’m all for a universal ecosystem of smart, connected devices, and I love seeing apps like this one. I’m not seeing the app show up in the Extra Libraries (it IS registered) so I don’t know if the app can send content FROM MCE to an iPad (but I would really like to see that since that would have more real world use for me). Kudos to Thomas Pleasance for these first steps!